There are so many job options available for pianists that it's very easy to forget some of the options at times! Teach piano: teaching is the easy part. Now you've got to make sure you cover all your basis for employment: universities, colleges, music schools, private studio, church music education group, group classes, YMCA, in school after school programs, piano camps and piano festivals. Accompanying: It ranges from playing one rehearsal to playing weekly lessons. You can do a few rehearsals and then play juries and recitals, or offer your services for festivals, competitions, and recordings. Ballet accompaniment: vast range of options here too, with playing for ballet classes, professional ballet companies or dance departments of universities. You could be asked to play classical music, jazz or both. Choirs: The best resource to play for choirs is ChoralNet. There are choirs in churches, universities, community groups, YMCA, elementary schools, high schools, etc. Gigs vary from playing every rehearsals and concerts to doing only the dress rehearsal and the concert. Cruise ship: There are lots of jobs for pianists on a cruise ship, ranging from playing lounge music, playing and singing, to playing with a big band, accompanying guest artists, or playing for musicals. Cocktail parties: Weddings, Christmas parties, Hanukkah parties, office parties, engagement parties, etc. You name it it exists! The way to get them is either to find the gig yourself, or put your name on musicians' lists, or to be attached with a parties service company that would give your name out, or to work regularly with a hotel, manor, restaurant, etc. Band: bands ask mainly for keyboard players. If you come from a classical background remember that you can make money playing in bands. The gigs range from a three to four members group playing in bars, to a full big band doing event work every weekend night. Amusement park: Pianists are mainly asked to play for one show, usually between a half hour to an hour long, multiple times a day. Find out more about this here. Comedy improv shows: there are a lot of improv comedy shows out there that need pianists, whether for songs here and there, or for an improv musical. If you want to know more about what your role is in an improv show, check my previous post about it here. Piano bars: Some will want you to play background music, others will want you to play and sing, with repertoire varying from songs from the 60s, all the way up to our days. You could also have to play for open mic nights, or to play with waiters singing. The most frequent is dueling piano, where you perform with another pianist and sometimes a drummer, with one or the two of you singing. Lounge gigs: this is the classier and non-singing version of doing piano bars. Depending on the place you may have to play from memory or not. This could be a one time thing, or you may do it regularly once a month or every Saturday, or you could do a few evenings per week every week. Depending on the place you may get tips either directly or have a share with the rest of the staff, or work on a stipend. Church gigs: those jobs vary greatly from full time music director to playing only services, and anywhere in between. You could be asked to play piano and organ, to decide what to play or to be told exactly what to do. 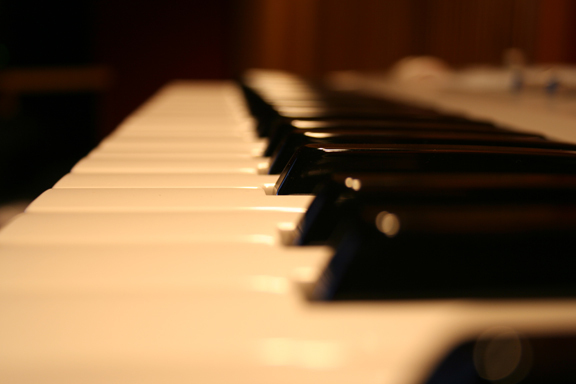 As a church pianist you will also be asked to play for weddings and funerals on a regular service. Solo recitals: the competition is so fierce to be a solo pianist that we forget that solo recitals can be an option too! Libraries, museums, churches and other institutions offer monthly music series. You can also produce your own concerts by finding a place and market the concert yourself. Chamber music: this could be as serious as a full time thing or be something you can put together for a client who wants more than just a pianist for their event. As for solo recitals, music series are great to target, particularly if you give them the option of performing alone or with a formation. Orchestra: yes, we forget that one too because it's so rare that there are piano parts in some orchestra works! Facts are, some orchestras hire full time pianists, while others hire pianists on a contract basis. Operas: operas productions always rehearse with a rehearsal pianist because of the cost of hiring the whole orchestra, and because the conductor needs to be conducting! If there is a piano part in the orchestra you may be asked to do it as well. You may also be asked to do subtitles during the show. Musicals: musical theatre productions use pianists in many different ways. You could be a rehearsal pianist, be the show's main pianist, play sound patches on keyboard 1 or 2, or be a music director. Dinner Theatres: The main difference between dinner theaters and playing for other musicals is the consistency of it once you're in. Most dinner theaters work year round, and many of them offer full time with health benefits for pianists.There seems to be a lot of it particularly in Florida. Military: Read this to know more about the options, but in short, the best gigs are in the Navy, the Air Force and even better, any Premiere band. Those are real full time jobs with amazing benefits. You could be asked to play a lot of different styles of music, from classical, rock, jazz, to military music of course.